Patrick Butler, president of America's Public Television Stations, speaks Monday at the organization's Public Media Summit in Washington, D.C.
WASHINGTON — Now that Congress has approved raising spending caps for the next two fiscal years, CPB’s annual appropriations request of $445 million may have a better chance of rising as well for the first time in nine years. Pat Butler, president of America’s Public Television Stations, said at the organization’s annual Public Media Summit Monday that he believes the chaotic appropriations process could be smoothing out. That would be good news for planning annual funding requests. While the fiscal year 2017 budgeting process ran six months late and FY18 is already five months behind schedule, “we hope it will get back on track for fiscal 2019. That’s due to be finished by Oct. 1,” he said. Then “it’s high time to ask for a significant increase” for CPB, Butler said. “Given that our funding has been level for the past nine years, we believe we have a strong case to make for a higher appropriation,” he said. Public broadcasters are eager to claim their piece. 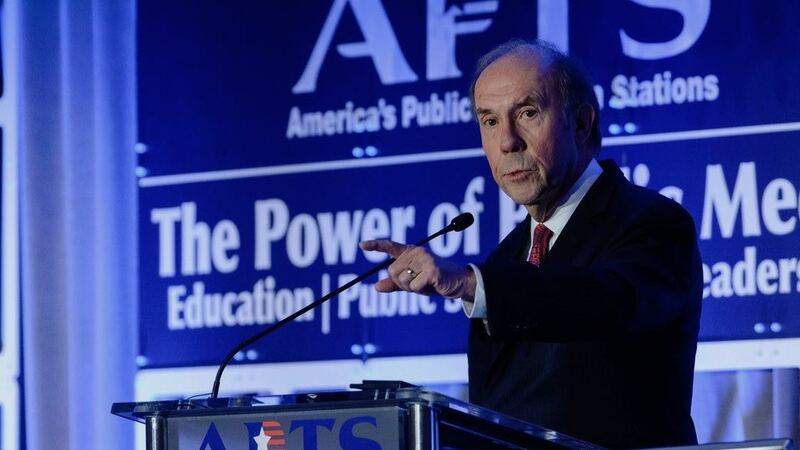 At the Monday morning board meeting of APTS Action Inc., the organization’s lobbying arm, several trustees asked about preparing to grow CPB’s funding request. Kate Riley, APTS’ governmental affairs VP, noted that informational materials targeting members of Congress regarding FY19 funding use the phrase “at least $445 million” in reference to the appropriation. Butler told the board that for much of the past nine years, “level was the new increase” as other federal budgets lost millions of dollars in cuts. Preservation of consistent public broadcasting funding “is quite an achievement,” he said. Riley said it’s hard to know due to the unfinished FY18 budget. Once it’s firmed up, “that will give us more perspective on what might be possible,” Riley said. Although President Trump’s FY18 budget proposed $30 million for CPB to shut itself down, the House and Senate Appropriations Committees agreed on $445 million for FY20 for CPB, which is forward-funded. Trump’s latest draft budget would trim CPB to just $15.5 million for FY19 spending. Another positive development for the funding outlook is public broadcasting’s increasingly bipartisan support at federal and state levels. The most recent congressional letters urging appropriations committees to prioritize public broadcasting attracted a record number of signatures: 45 senators and 166 representatives from both parties, Butler said. Butler pointed out that the FY17 appropriations bill approved by a Republican-led Congress in May 2017 provided increases for public broadcasting. Ready To Learn, public TV’s preschool education initiative, received a $2 million hike to $27.7 million. And the interconnection distribution system rebuild project got a $10 million bump to $50 million. In the states, Butler said, APTS has “worked very hard to educate the nation’s governors and state legislatures about the work of public media.” That push helped secure more than $200 million in funding last year in 36 states, including 22 where Republicans control both the governors’ offices and legislatures. Butler noted that since World War II, the party not in control of the White House has gained an average of 25 seats in the House in midterm elections of a president’s first term. If that happens this year, he said, the Democrats would control the House by one vote. The summit continues Tuesday ahead of Capitol Hill visits by station executives and lay leaders Wednesday. The law also provides $20 million for public broadcasting’s interconnection work.